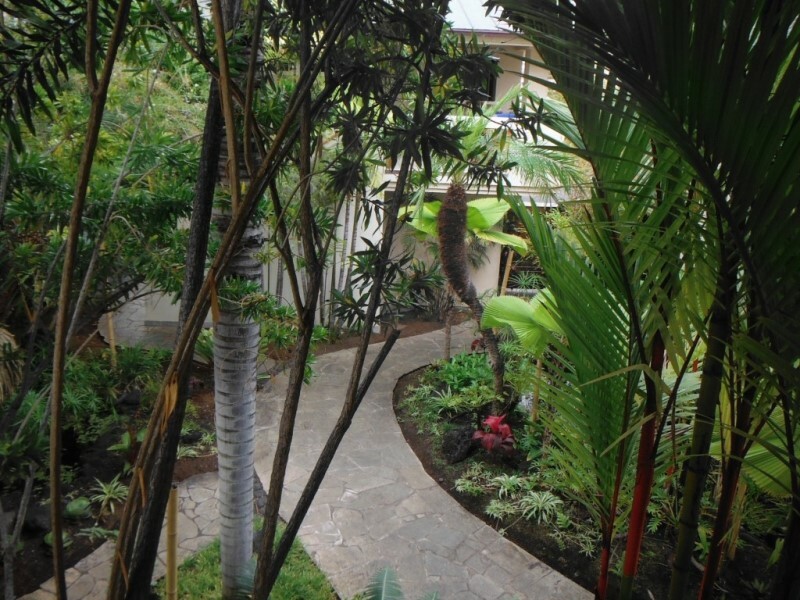 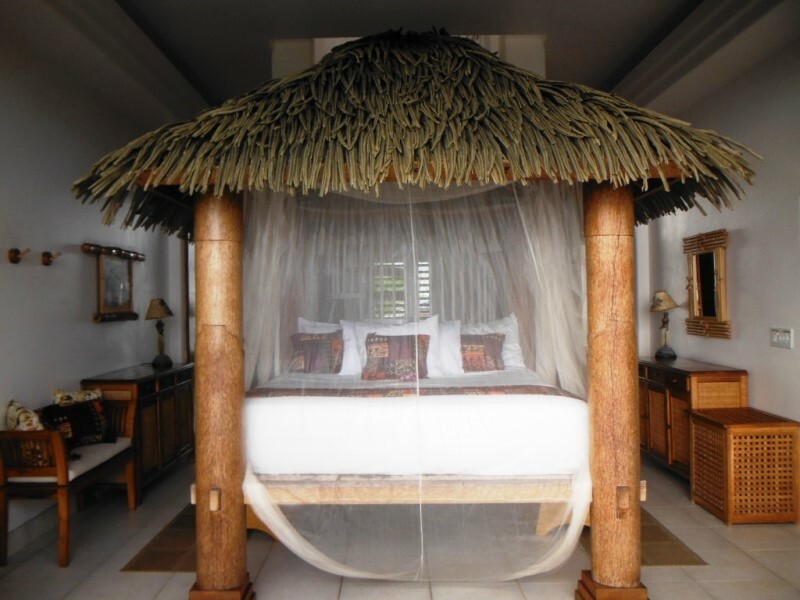 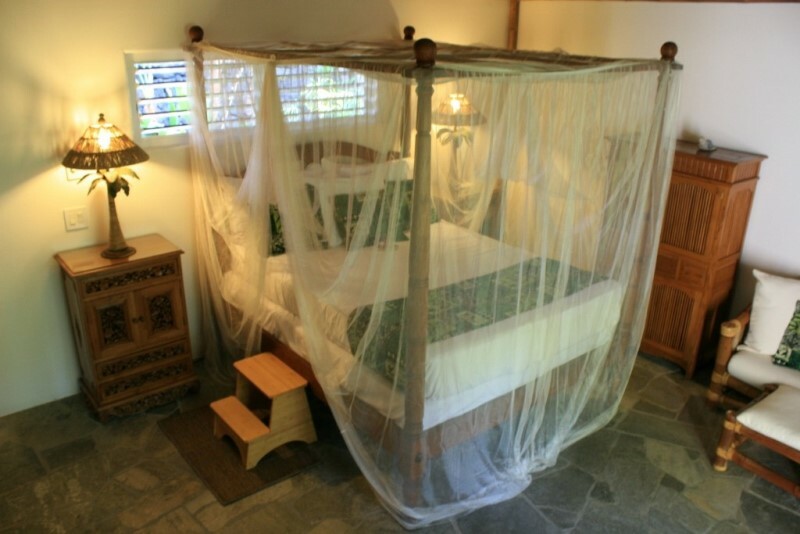 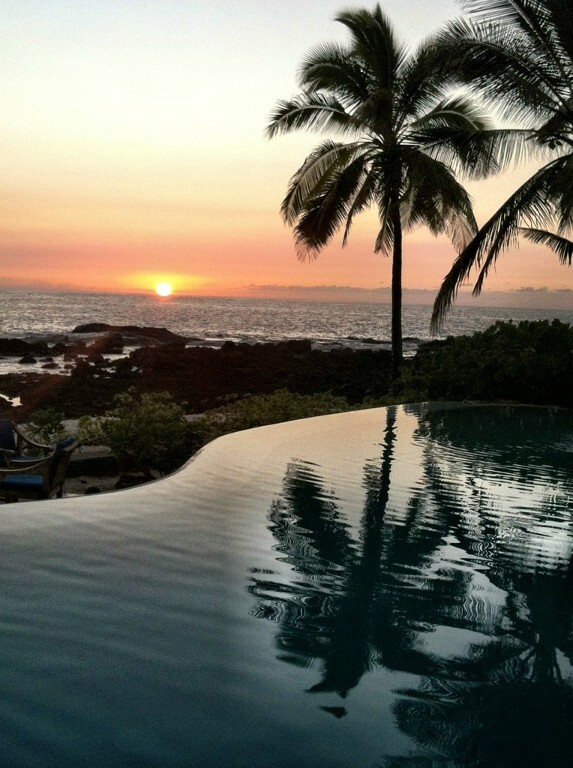 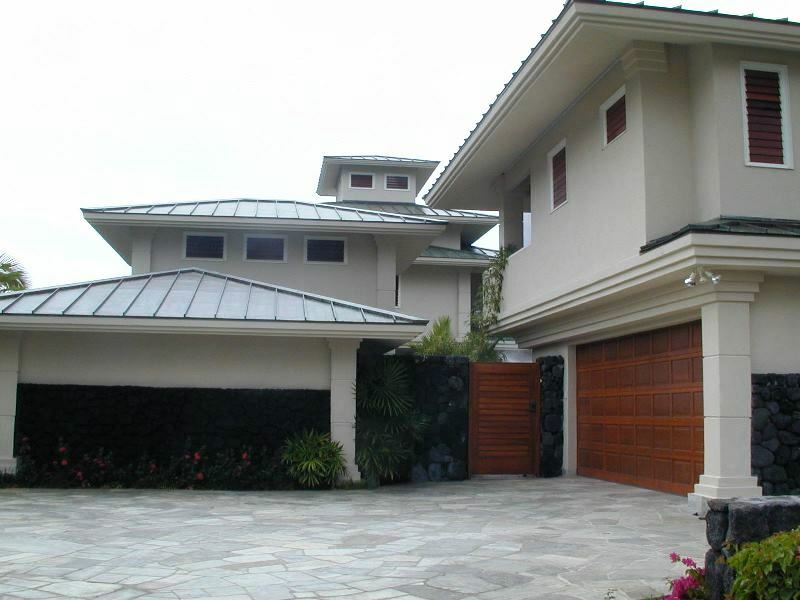 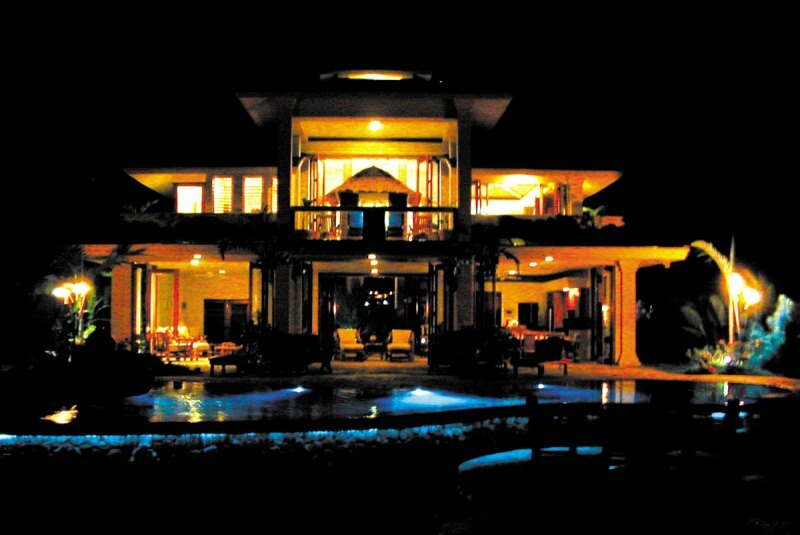 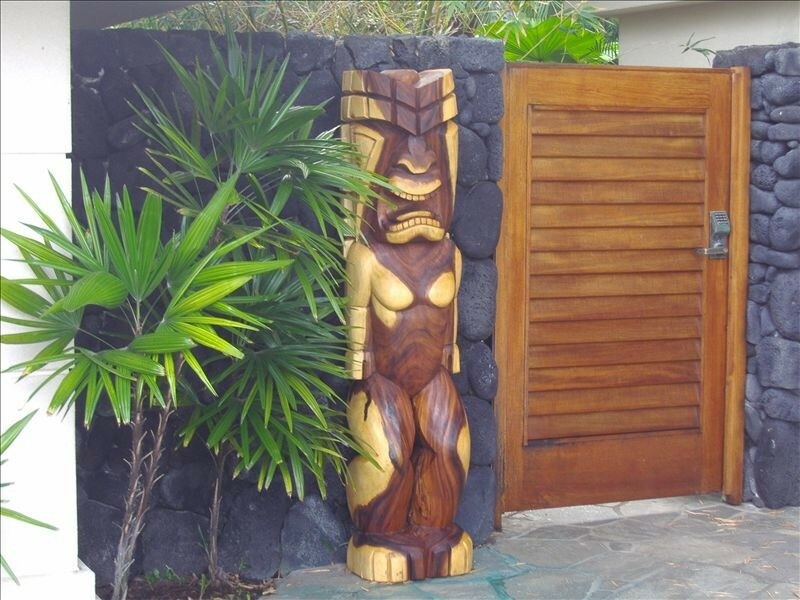 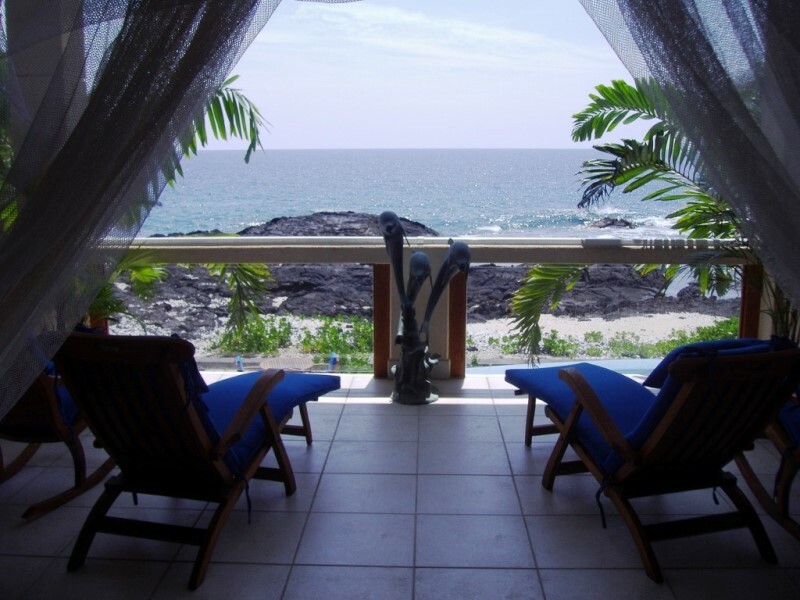 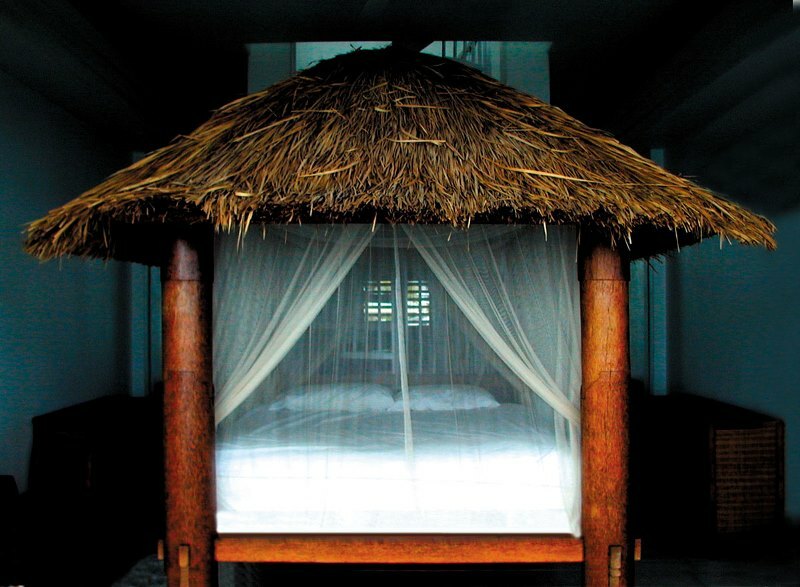 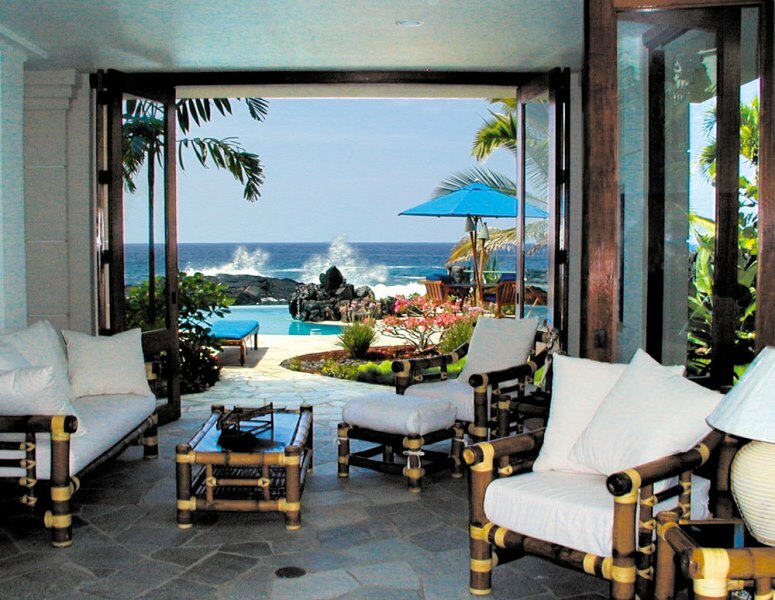 Kona Coconut Estate – Luxury Vacation Homes, Inc. 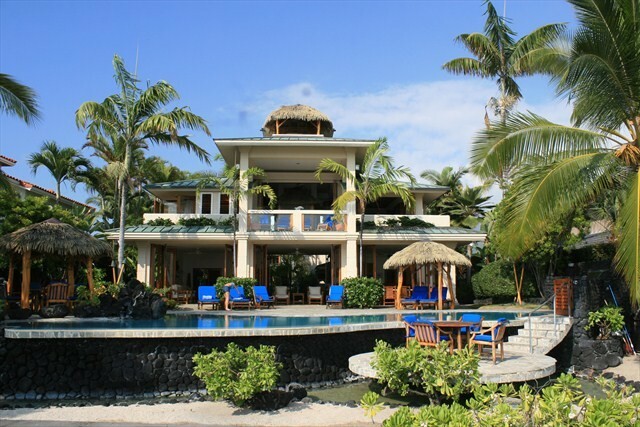 This four bedroom executive villa, with an infinity pool and waterfall, is situated oceanfront within the exclusive, privacy-gated community of Kona Bay Estates – near the King Kamehameha Hotel. 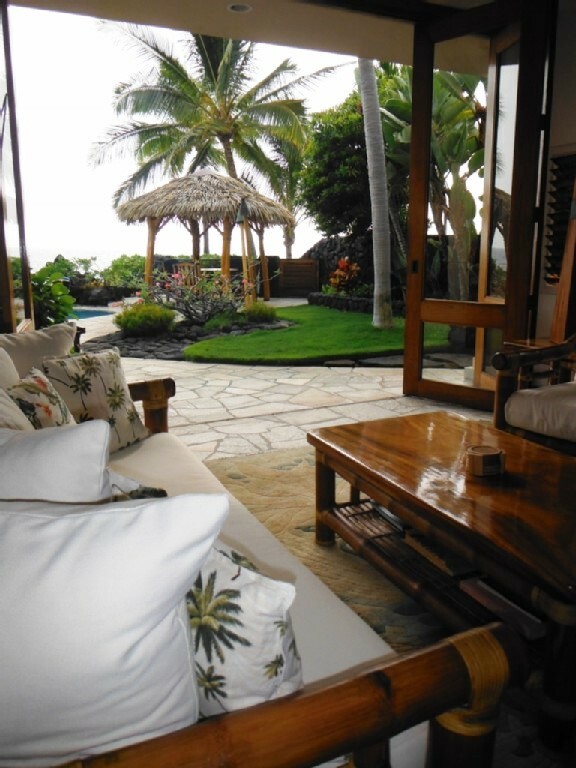 Surrounded by lush tropical foliage, this home consists of a three bedroom main house with a large, oceanfront master suite and two guest bedrooms plus there is a separate apartment above the garage with a queen bed, private bath, full kitchen and lanai. 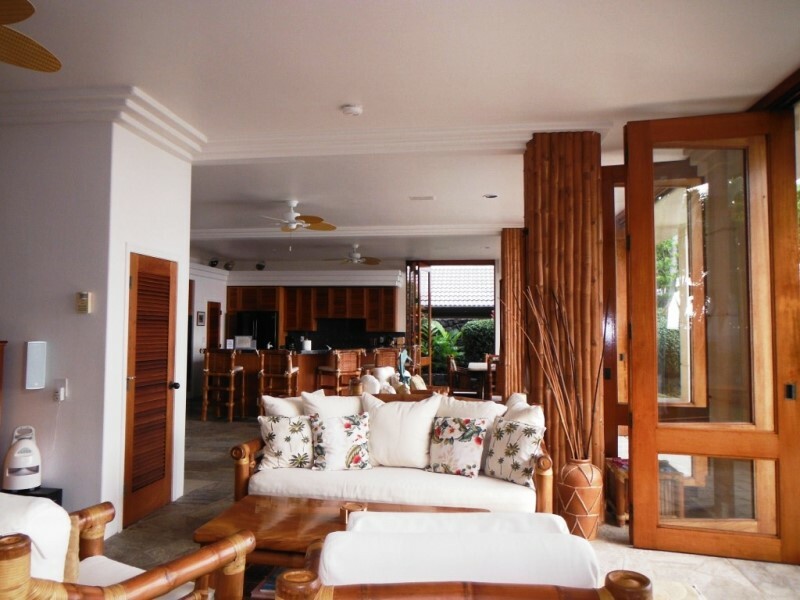 The two-level, spacious interior of the property is exquisitely furnished and appointed with top of the line appliances, entertainment center with surround sound, marble baths, inlaid granite counters and teak wood. 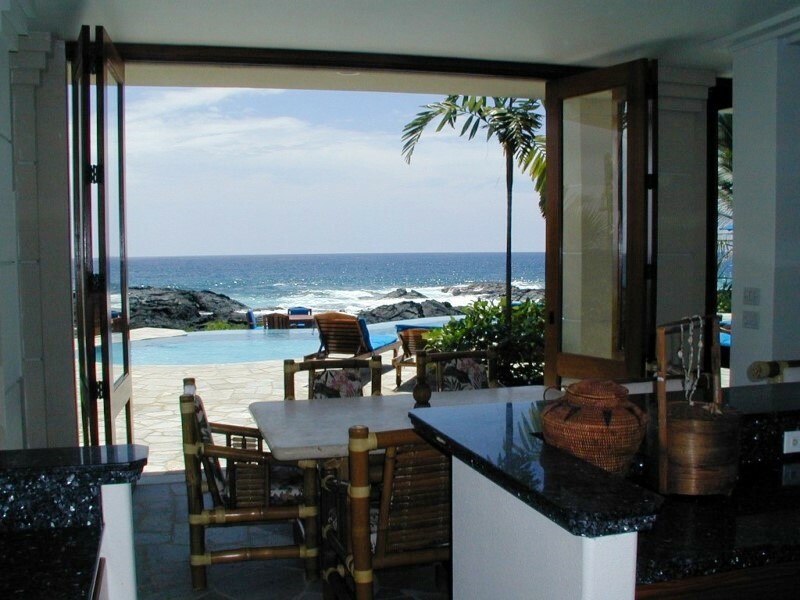 Oceanfront living and dining areas open onto the lanai and pool deck for indoor/outdoor entertaining. 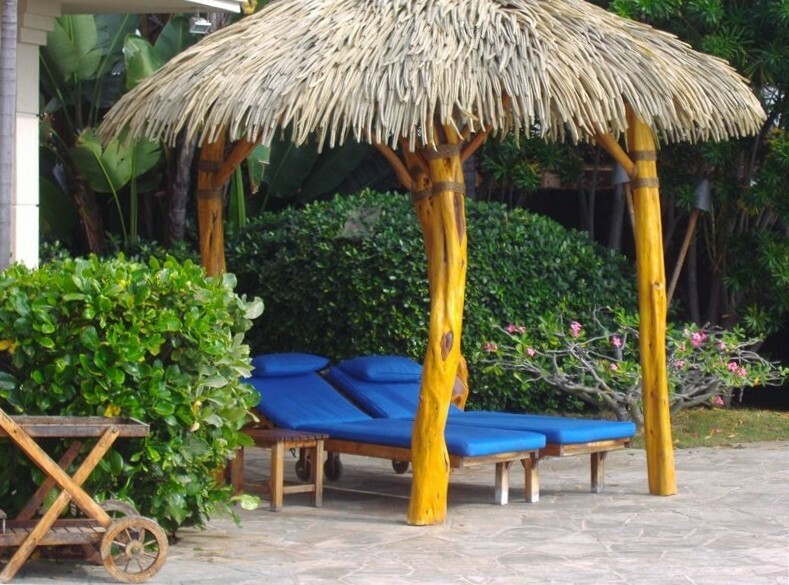 The property has a full complement of guest amenities including being just steps down to the crescent shaped white sand beach & lagoon; ocean swimming and snorkeling; private oceanfront infinity pool; 4-waterfalls, 3-ponds, lush landscape; outdoor shower, outdoor gas BBQ & sink; ceiling fans, phone, cable TV, VCR, stereo, CD/DVD player, gourmet kitchen with microwave, dishwasher, 3-refrigerators, 4-icemakers, 2-convection ovens, 6-burner stovetop, and warming drawer; washer/dryer; Jacuzzi overlooking Kona Surf; Free High Speed Internet; Beach toy box full of rafts, floaters and pool toys; Baby chair, crib and baby gate available. 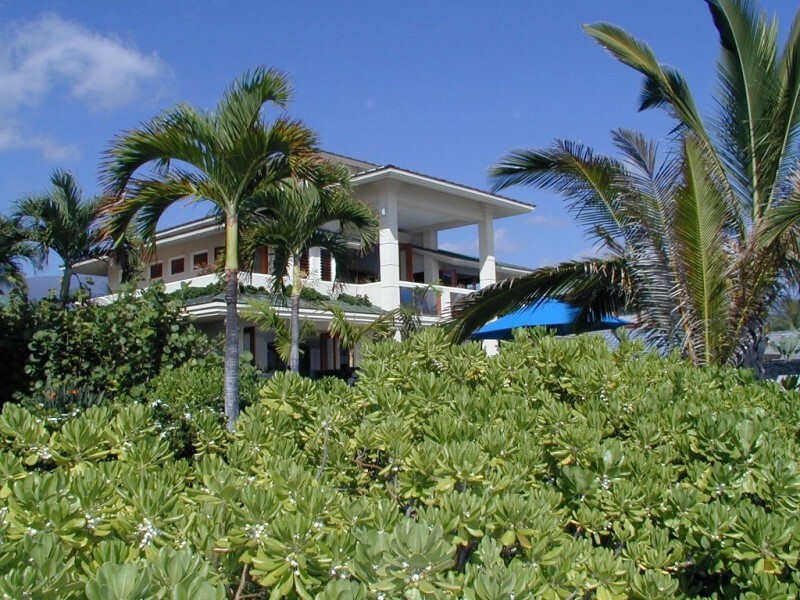 There is a small sandy swimming beach area several houses away and a public park with tennis courts within easy walking distance. 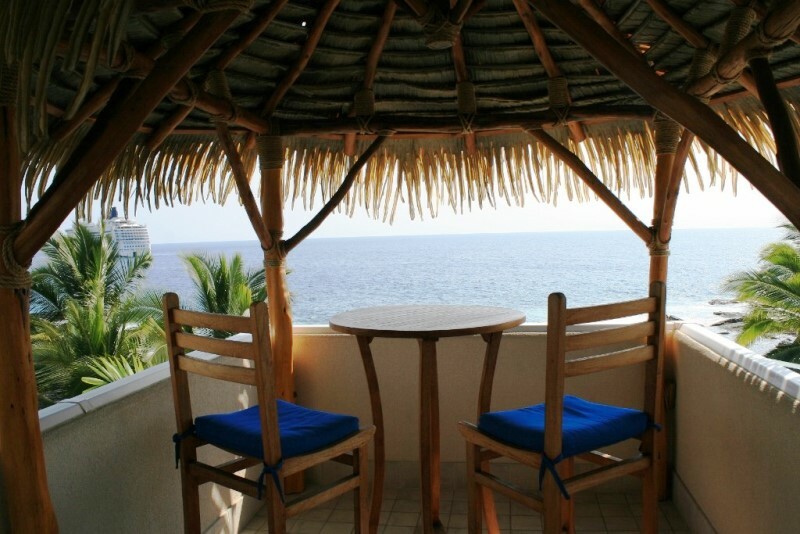 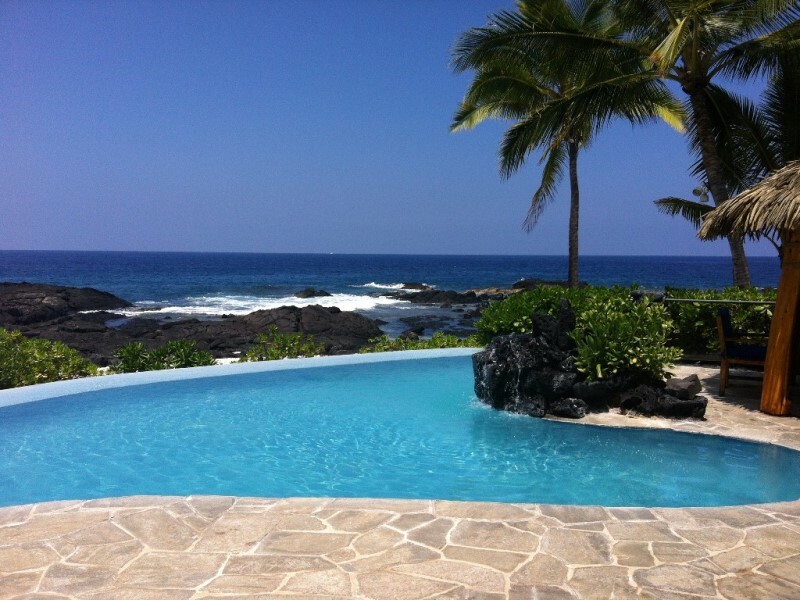 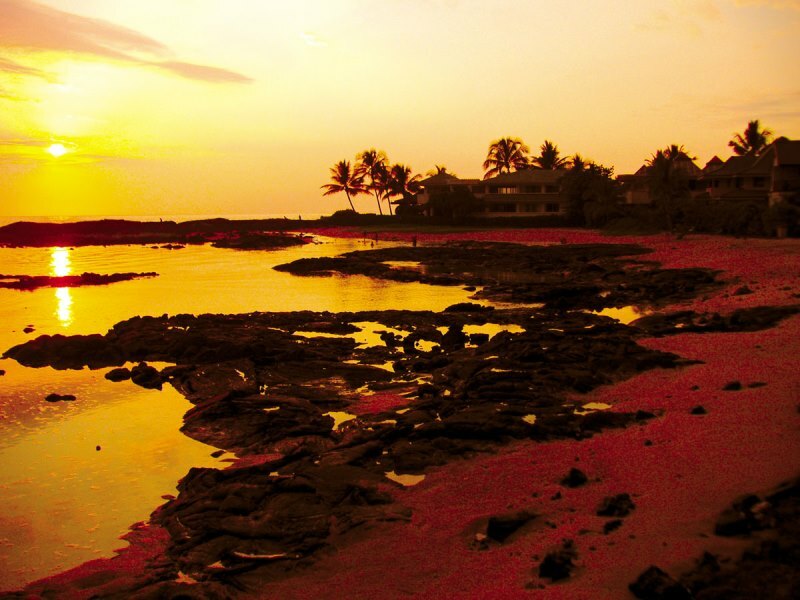 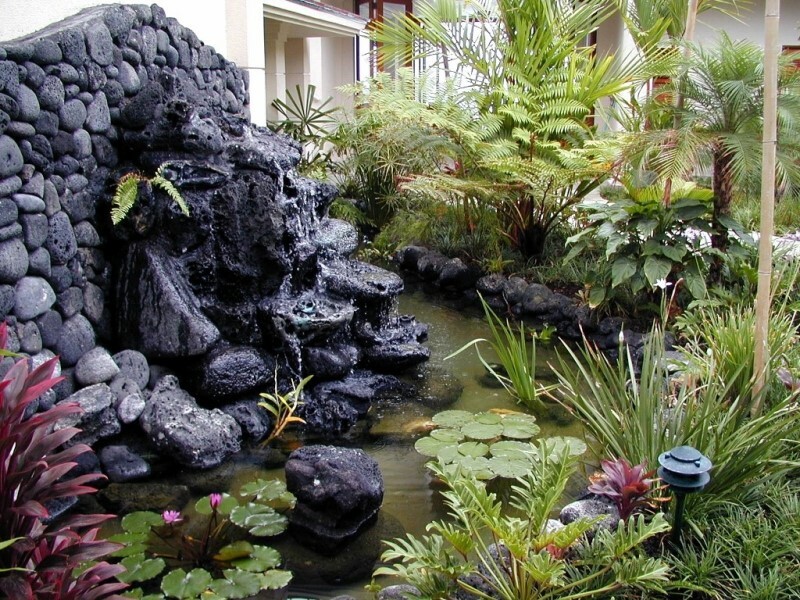 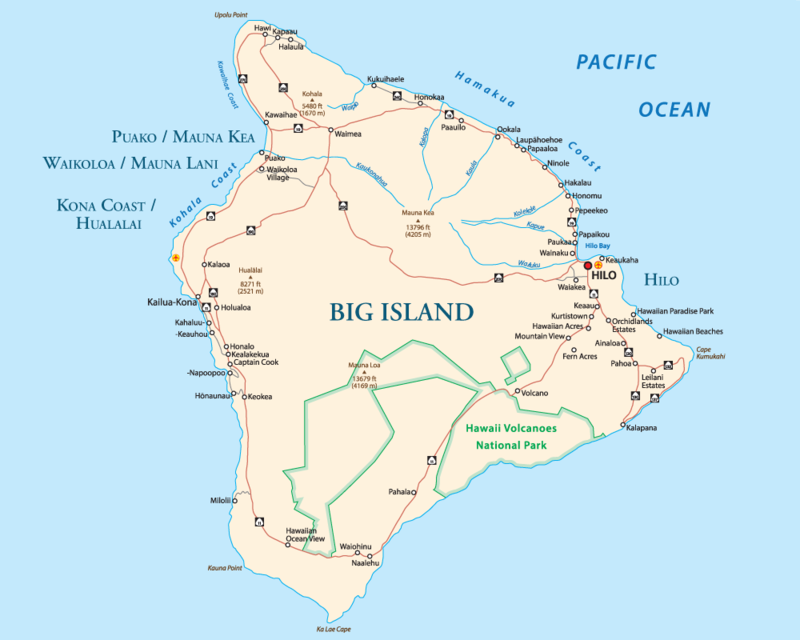 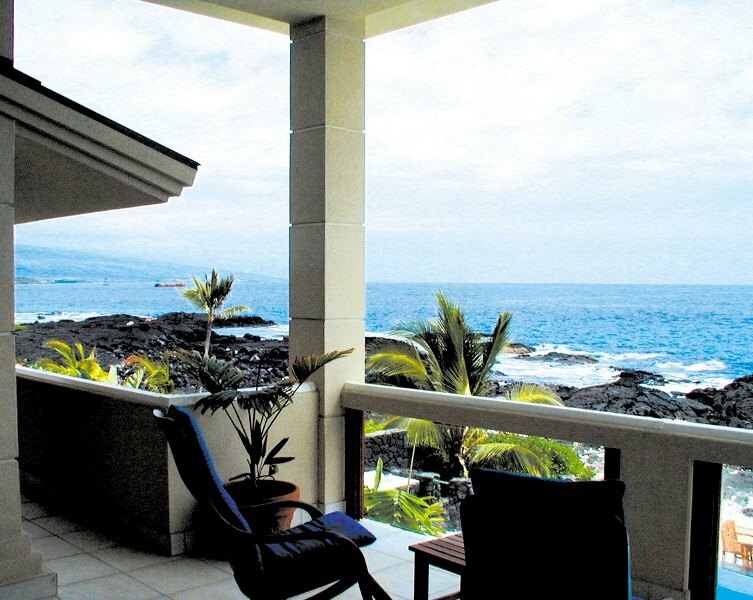 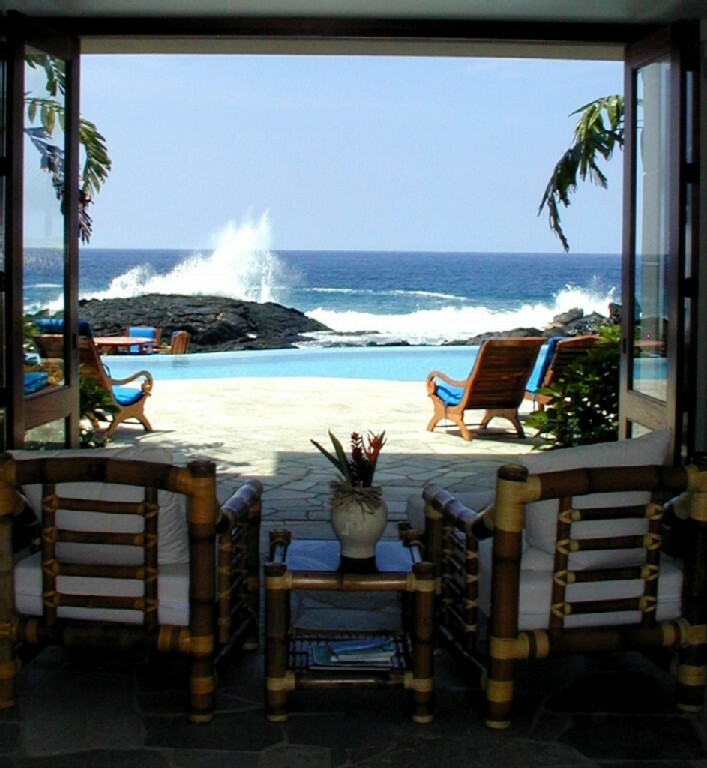 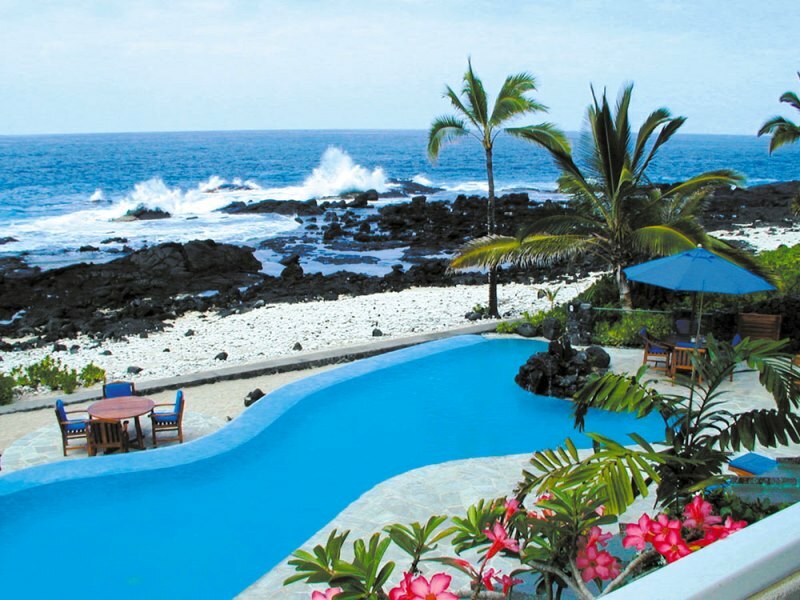 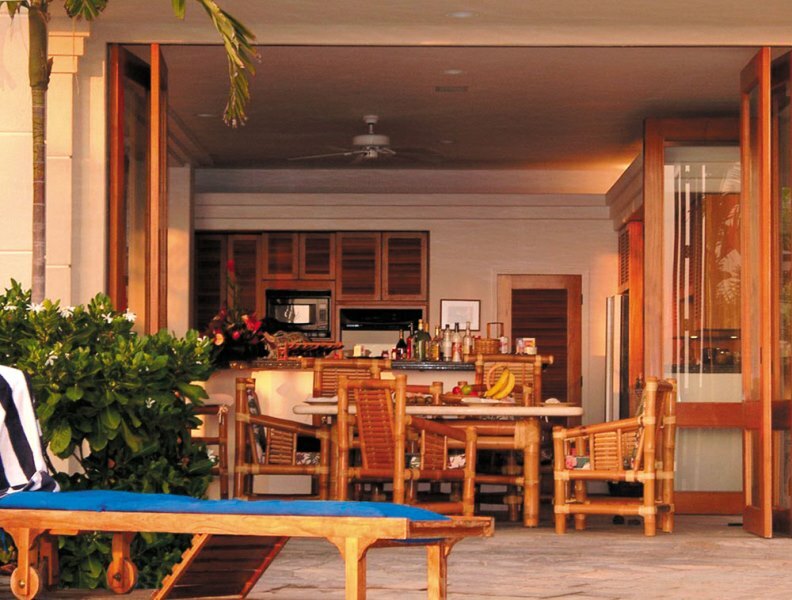 Kona Bay Estates offers some of the best oceanfront properties available for rental anywhere on the Big Island.